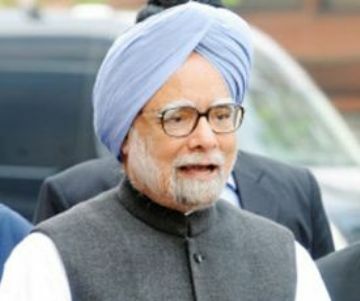 New Delhi, Oct 20 : Prime Minister Manmohan Singh said Sunday his visits to Russia and China would help strengthen India's relations with two of its most important partners and create strategic opportunities for India's growth, prosperity and development in a stable external environment. In his departure statement prior to embarking on a five-day visit to Moscow and Beijing, the prime minister said the annual summit he would be holding with Russian President Vladimir Putin Oct 21 is an "important feature of our special and privileged strategic partnership". He said India's scope of ties with Russia is unique, which includes strong and growing cooperation in areas including defence, nuclear energy, science and technology, hydrocarbons, trade and investment. The prime minister said he would be exchanging views with President Putin on international developments, including West Asia and Afghanistan. He said the honorary doctorate to be conferred on him by Moscow State Institute of International Relations is a "testimony of the relations between our two countries". In Beijing, he said the visit would give him the opportunity to continue talks with the new Chinese leadership. He said together with the Chinese leadership in the last nine years in office as prime minister, both sides have put together a strategic and cooperative partnership and mechanisms for cooperation and dialogue to address bilateral issues between the two countries. "Together we have reached important consensus on maintaining peace and tranquility on the border and made preliminary progress toward settlement of the India-China boundary question." He said during the visit, he would discuss "ways and means to consolidate our common strategic interests". He said both countries have "areas of concern" which are being addressed with "sincerity and maturity, without letting them affect the overall atmosphere of friendship and cooperation".